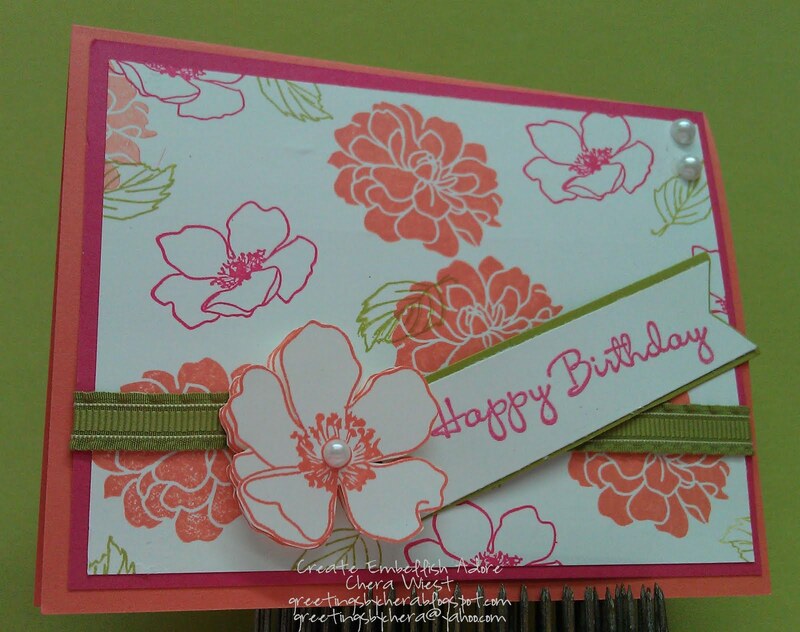 Create Embellish Adore: Fabulous Birthday GG! It was my Grandmothers birthday recently... she's spending it at the beach... cannot blame her right? ... heck if we all could spend out birthdays there...I just wonder why I didn't offer to take her down myself???. I thought this was cheery and special - just like Grandma herself! I really had to hold back on not getting all crazy with popping flowers everywhere since they are so cute! Who doesn't like Fabulous Florets? 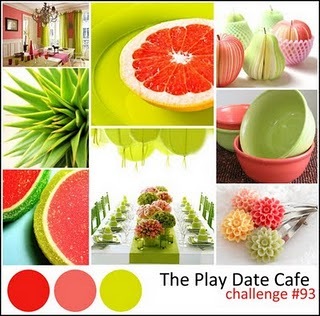 I love the color Challenge that the Playdate Cafe gals put together... it actually made me hungry! I had to get a snack before I put this together !!!... and it was a delicious canteloupe... I may have ate some watermelon since I knew I couldn't have the sorbet... but how tempting is that inspiration photo!!! Goodness!!! The Playdate Cafe has a new design team ! Isn't that exciting? I love to see new artists! It keeps me on my toes! and my mojo flowing!! Go ahead- make a Date with the girls! You won't be sorry! 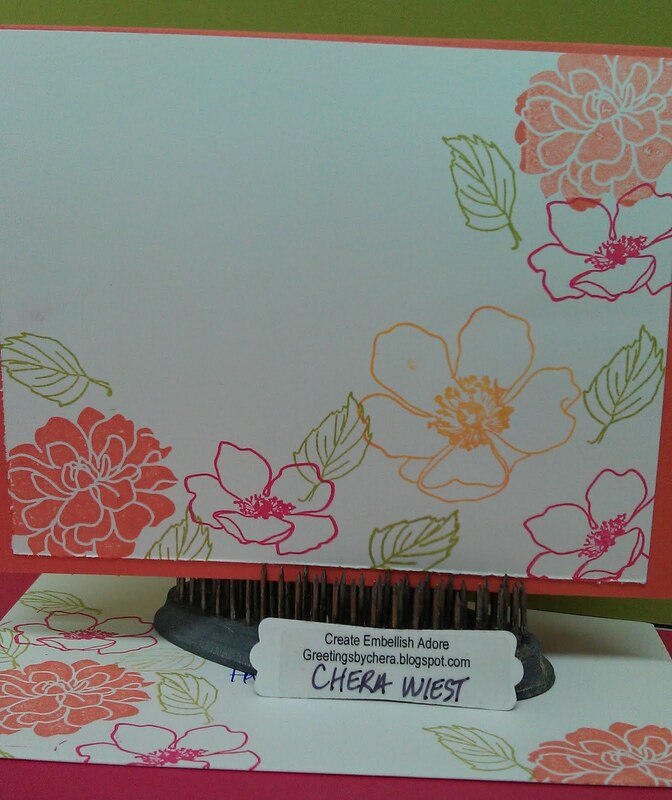 What a pretty summer floral card!!! 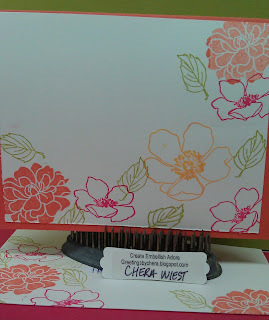 Your card is awesome, love those luscious colors, so summery, your granny will love it. 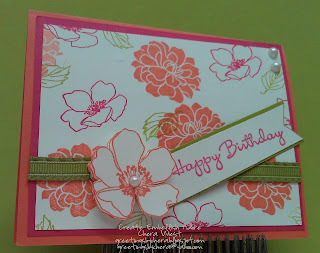 Gorgeous and I love the finished inside, hope that your Grandma had a fabulous birthday. Beautiful take on the colors! So whimsical and pretty :) Glad you played with us at The Play Date Cafe!